(1) The college and attached hospital(s) shall fulfill the minimum standards requirements of infrastructure and teaching and training facilities referred to in the regulations 4 to 13. (2) For exposure of the students in the clinical field and to understand the depth of operative surgery and operative Gynecology or Obstetrics as well as management in critical illnesses, a college shall have a Memorandum of Understanding with a reputed nearby located super-specialty hospital (of modern medicine) with all required facilities of operation theatre, labor room, Intensive Care Unit and other required facilities for the management of critical patients. (3) In case an attached hospital of a college does not have the facilities to handle operation theatre and other critical patients, the students of such a college can be deputed under the strict supervision of concerned teaching faculty of the college for the required exposure in the said field to the attached super specialty hospital. 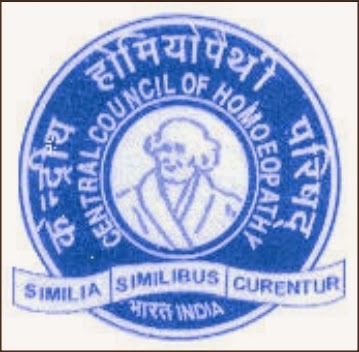 (4) The existing colleges and their attached hospitals established under section 12A of the Act and those colleges and their hospitals established prior to the 28th January, 2003 and recognized by the Central Council of Homoeopathy shall fulfill the minimum standards requirements of infrastructure teaching and training facilities referred to in these regulations by the 31st December, 2014 for consideration of grant of permission for undertaking admissions in the coming academic years. (5) If a college fulfills the requirement by 31st December, 2014 as per these regulations, it shall be granted permission to undertake admissions for a period not exceeding five years during which the college shall not be inspected, except for random checks on receipt of any complaint, or otherwise as deemed necessary either by the Central Government or by the Central Council of Homoeopathy. (6) The Central Council shall visit the college suo moto three months before the expiry of permission. (7) The conditional permission shall be granted only to those colleges which are fulfilling at least the requirement of teachers as specified in Schedule-IV, the requirement of functional hospital as specified at sub-regulation (2) of regulation 7 and availability of equipment as specified in schedule-III for each academic year 2013-14 and 2014-15 on the basis of the separate inspections to be carried out by the Central Council of Homoeopathy after the 15th May, 2013 for the academic year 2013-14 and after the 31st December, 2013 for the academic year 2014-15. (8) Such conditional permitted colleges or those colleges which have been denied permissions during the academic year 2013-14 and/or 2014-15, will be required to fulfill the requirements as specified in these regulations by the 31st December, 2014. (9) All the existing colleges, which are not able to achieve full compliance of the requirement as specified in these regulations by the 31st December, 2014, shall be denied permission from academic year 2015-16 onwards and action as envisaged under section 19 of the Act shall be initiated against all such colleges apart from rejection of their applications under sections 12A, which have been under consideration by way of conditional permissions or denials.